The 1932 Crawfords. The Mick. Satchel. Yogi & Ted. The Say Hey Kid. | ninety feet of perfection. The 1932 Crawfords. The Mick. Satchel. Yogi & Ted. The Say Hey Kid. 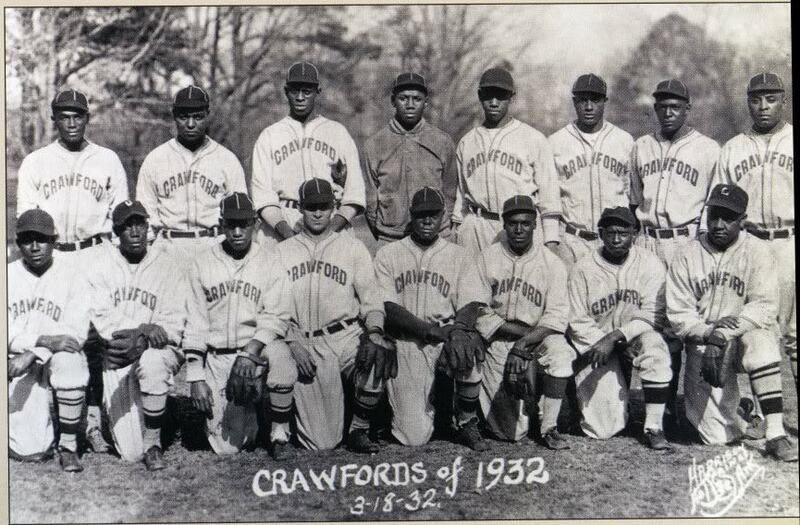 The 1932 Pittsburgh Crawfords. Satchel Paige is on top row 3rd from left, Josh Gibson is in the jacket and to the right of Satchel, Ted “Double Duty” Radcliffe is on the bottom row all the way to the right, and Oscar Charleston is on the top row, far right. It doesn’t get much better than this in regards to photos of old legendary teams. 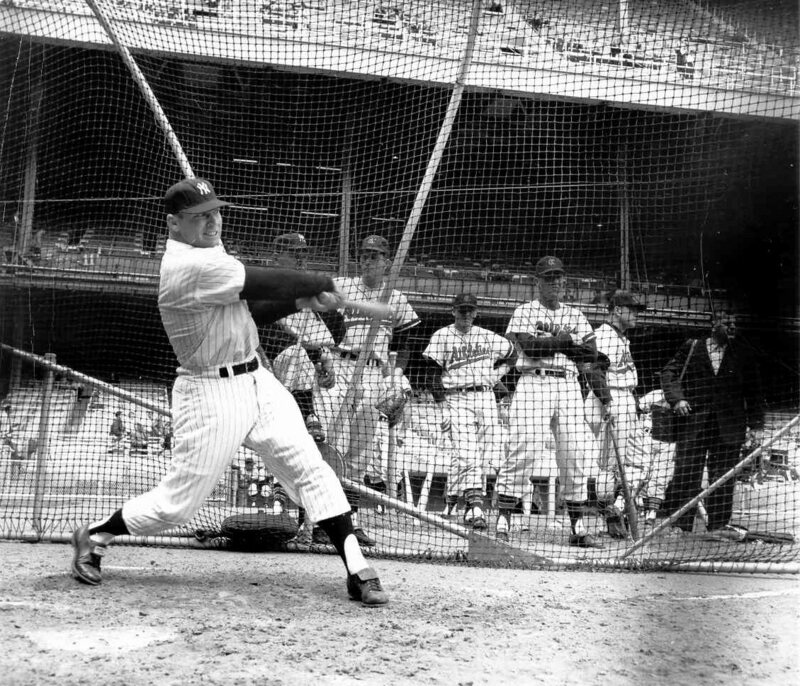 Mickey Mantle in the cage taking some BP as members of the Kansas City Athletics watch The Mick hone his craft. 1948. 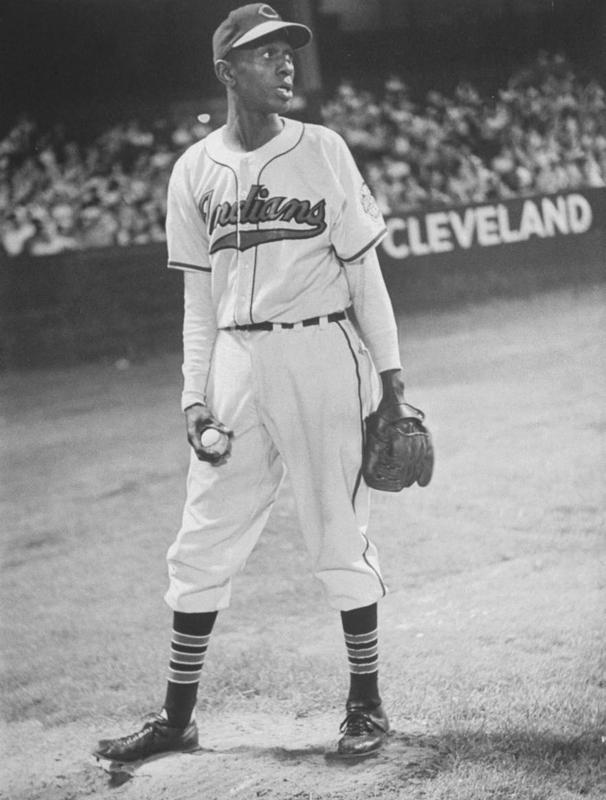 Satchel Paige taking a break from warming up during his rookie season with the Cleveland Indians. If you think that I am going to ever stop posting Satchel photos on 90 feet of perfection, think again. 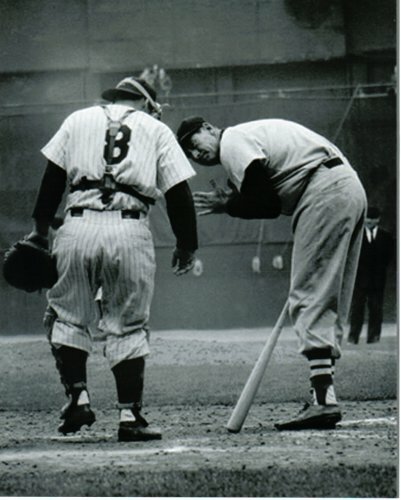 A pretty cool photo of Yogi Berra and Ted Williams during an at-bat. I just watched a DVD called “Yogi Berra: American Sports Legend” that I rented on Netflix. It is a pretty cool documentary that came out in 2004 that Bob Costas hosted which takes a look into Yogi’s life both past and present. Yogi’s good friend Ted Williams was interviewed in it which is great. One of the coolest parts of the film was Yogi playing wiffle ball with his family members in someone’s front yard. I thought this was pretty cool because at the time the film was made Yogi was in his late 70’s and his swing which I have become familiar with via watching movies of him my whole life is still physically there. I love Yogi Berra. 1951. 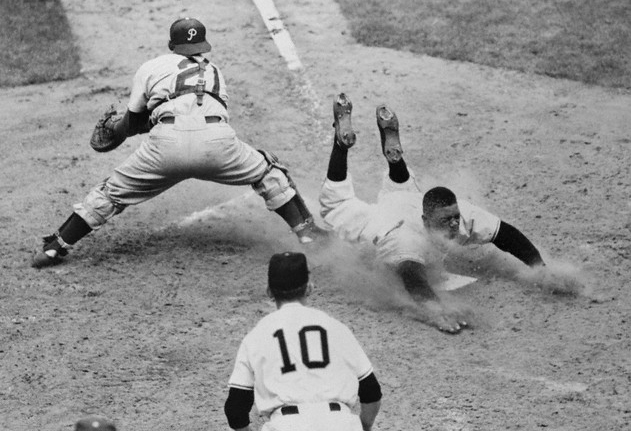 Willie Mays slides safely past the Philadelphia Phillies’s Catcher Smoky Burgess. I love how Willie’s legs are bent at 90 degree angles in the photo. ~ by duaneharris19 on February 27, 2011.